Help Mr. 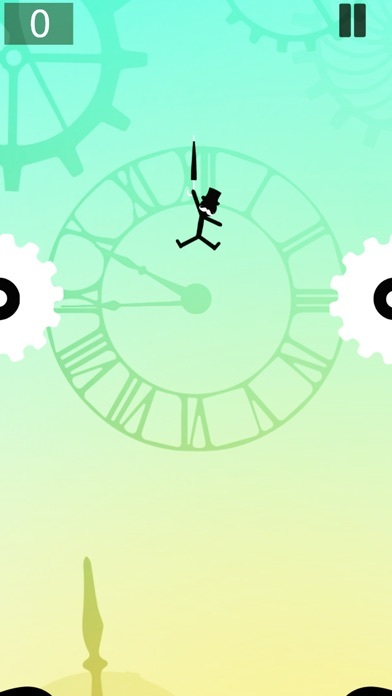 Umbrella navigate his way down the clock tower, avoiding obstacles along the way. Can you make it to the bottom? Features: • Simple One-Touch Gameplay • Endless Fun • Beautiful Simplistic Graphics • Compete with Friends and Family with Game Center Leaderboards! 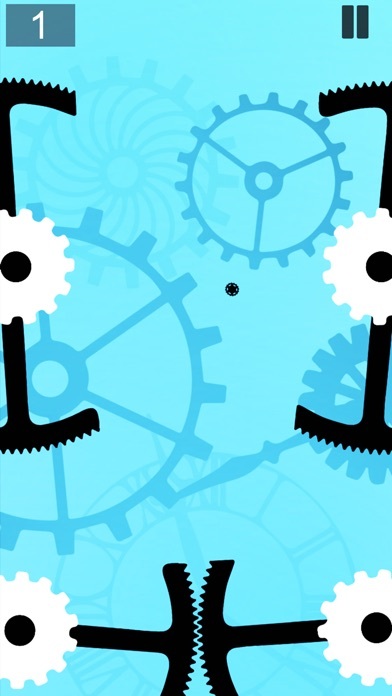 How to Play: Tap any where on the screen to open Mr. Umbrella's umbrella and avoid the obstacles. Neat game, but there's absolutely no warning before something smashes the daylights out of you at light speed. Would be nice if there was some indication, like the obstacles move slowly at first before they speed up & smash you. This interrupted my music and popped up an ad within seconds of loading. Also, the game was crap. What's up with that. 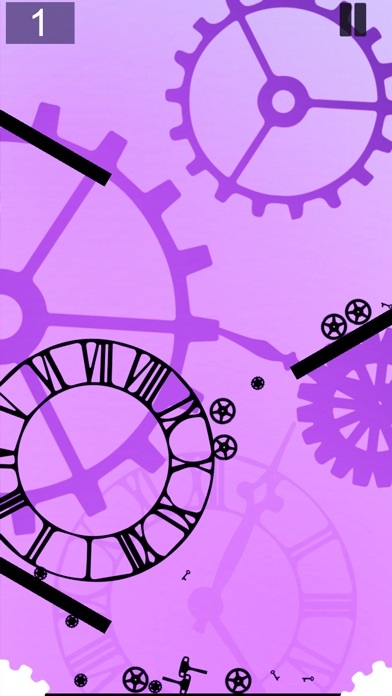 Plus it's too hard there should be levels so you can retry. 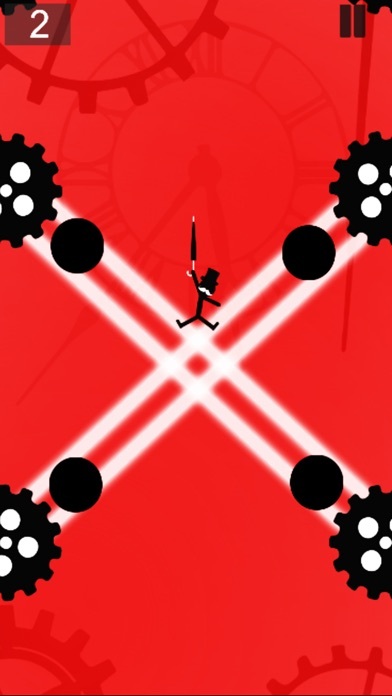 Just a jumping game. No innovation or interesting mechanics here. 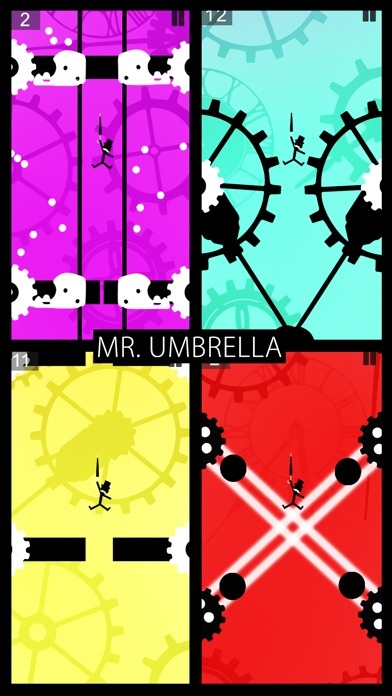 The mechanical umbrella visual theme is okay. Also, ads first thing. This game is super annoying but I can't stop playing it.